Seibert’s latest exhibition also features an area rug that covers the entirety of the gallery floor space, an inviting domestic concept—crafted entirely out of chainlink fence. Seibert uses this everyday material often associated with blocking something in or out and brings it indoors as an obstacle for the gallery’s audience. This distraction blocks the typical ease of observing the work, inhibiting the gaze of the gallery patron and hoping to match gallery looking with the duress of her making. For Seibert, the experience of observing the work should point to or equal the difficulty in which it was produced. 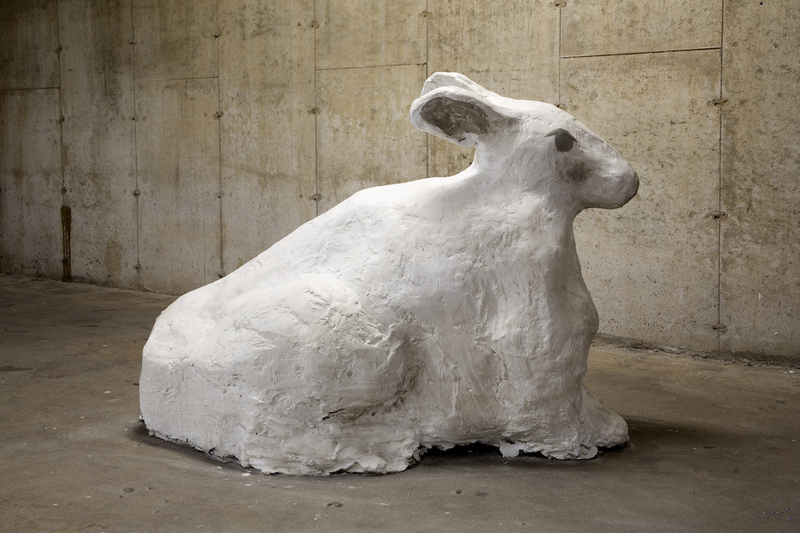 Physicality is a strong characteristic of her work, whether it’s shifting around large-scale animals or her gesture-heavy plaster sculptures, a series of works imbued with the strong emotions expressed during their creation. “I am trying to make the least amount of decisions possible and use the least amount of materials,” says Seibert. “For me, making aesthetic decisions can become very arbitrary, choices become irrelevant.” Due to her material choices, Seibert works fast against the twenty minutes before the plaster dries her marks into its surface. 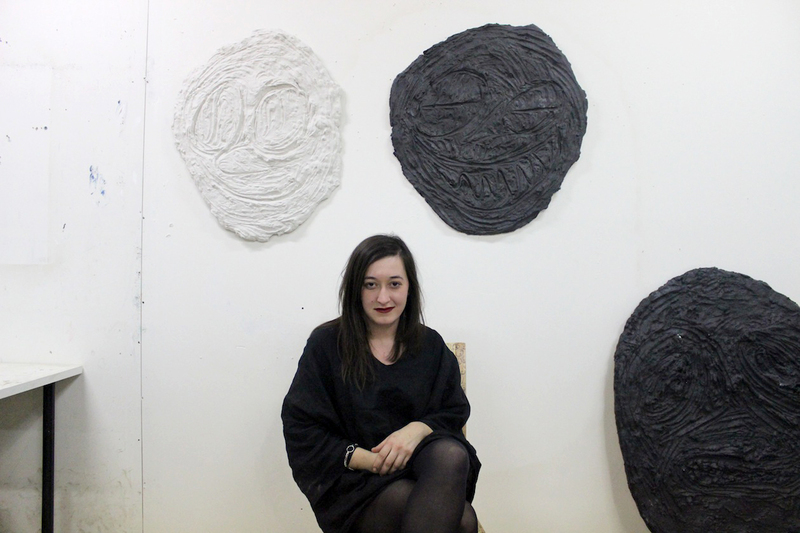 “Aesthetic decisions in my work are derived from actions rather than contemplation,” she says. Rather than focusing on the aesthetic outcome of each expression, Seibert focuses on the labor—a Norma Rae instinct that informs not only her studio production but also her other professional activities aimed to improve work conditions for arts laborers.